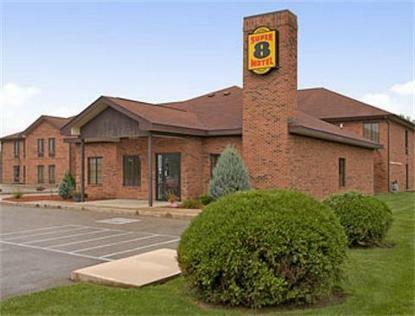 The Super 8 Rochester, IN is conveniently located off of U.S. 31 at Exit SR 25. The property is located just 1 hour South of Notre Dame University and 1 hour Northeast of Purdue University. The Super 8 Rochester, IN is near many local festivals such as, Round Barn, Trail of Courage Living History, and the Red Bud Trail Rendezvous. The Blueberry Festival held just 20 minutes away in Plymouth, IN is also a choice for our travelers. Purdue University is just a 1 hour drive Southwest of our property, while Notre Dame University is just an hour to the North. Plenty of Shopping and downtown Rochester are just minutes from the property. The Super 8 Rochester, IN offers Free High Speed Wireless Internet, Expanded Cable TV w/HBO, AM/FM Clock Radios, Hairdryers, and our SuperStart Breakfast.